Russia’s new adoption ban has brought international adoptions into the media spotlight, as well as crushed the hopes of adoptive parents around the United States. Reece’s Rainbow, an advocacy organization that works to help families adopt children with Down syndrome and other special needs from abroad, is caught in the crossfire of this political situation. Founder Andrea Roberts spoke with me about the work they do at Reece’s Rainbow, why they are needed, and what the future of the organization is now after Russia’s adoption ban. Cassy Fiano: Can you tell me a little bit about yourself and how Reece’s Rainbow got started? Andrea Roberts and her son Reece. Andrea Roberts: Well, my name is Andrea Roberts. My son is Reece; he’s 10 years old, and he has Down syndrome. He is our biological son; he is not adopted. In 2004, I learned what happened to children with Down syndrome and other special needs abroad, and I was not OK with that. That is where Reece’s Rainbow was born from – to get those children out of those conditions and into permanent, loving families. I taught myself how to use FrontPage, and I reached out to some adoption agencies, some missionaries and aid workers who were working in Ukraine at the time, to help identify some of these orphans who had Down syndrome and who needed families. And I got their information and posted it on the website, and I went about seeking donations to help a family be able to adopt that child. And that’s basically where it started. You are not an adoption agency. So what is it that Reece’s Rainbow actually does? We are a 501(c)(3), basically an adoption grant foundation and an advocacy organization. What we do is seek out these children who have DS and other special needs all over the world. We’ve worked in almost every country so far. We advocate for them, to let the world know that they are there, that they’re waiting and in need of a family. When we list them, individuals and businesses, anyone who is interested, is able to make a donation to Reece’s Rainbow. The money that is donated is held on behalf of that particular child, in an effort to make it possible for a family to afford the very high costs of adopting a child from abroad. We do not make any money off our efforts or services; we are not a child-placing agency; we don’t do any legal matching or referrals or anything like that. We’re just a connecting point, a place for these children to have a voice, and hope that they can find a family. How do you determine, since you’re a grant foundation, which families get the money and which do not? There isn’t a screening process as far as Reece’s Rainbow goes, because we’re not involved in the adoption at all. What makes us different from other adoption grant foundations is that the money is available for the child. It’s not granted or given on behalf of the families. A lot of grant foundations may be faith-based or income-based, lots of different restrictions. With us, when families complete an international home study, have been approved through immigration, and are working with a licensed agency, and we know that they qualify to adopt from that particular country, then the agency is who contacts us and says that this child is being matched with this particular family. So the family submits a grant application to us, but whatever money has been donated on behalf of that child is given to that family once they’ve been approved. Have you found that there is a high demand for adoptions of special needs children? We’ve found families for over 900 children in 6 years. I can tell you without question that if we had a full grant for every child on our website, there would be no children on our website. There are that many families who are qualified and desiring to bring a child with special needs into their families. The money truly is the only thing standing in the way. Here in the United States, there’s almost a 90% prenatal abortion rate for babies with Down syndrome, so there’s not a lot of these children here in need of being adopted. And those that are born here that need adoptive families, there’s quite a long waiting list of American families wanting to adopt those children. And yet abroad, there’s not access to prenatal care like we do here, so there’s a much higher live birth rate of children with special needs abroad. The mothers don’t know they have children with special needs until after they’re born, and when they find out, the child ends up being left at the hospital or the orphanage. The children are basically warehoused, and the conditions are really quite appalling. So there’s a tremendous desire from our families not just to adopt a child or to adopt a child with special needs, but to adopt that child because of the conditions that he or she was subjected to. It doesn’t have to be that way, because the United States has come so far with rights, education, medical care, inclusion, and all of these things. Russia and all of these eastern European countries are some 40 years behind where we are, socially, when it comes to the disabled. It’s just a matter of people, when they find out what the need is, feeling like they could definitely do that. But the money is the one thing that keeps them from being able to, and that’s what Reece’s Rainbow is here for: to minimize the financial costs to saving the child. What do you think it is that appeals to people about adopting a child with Down syndrome or special needs? You mentioned the conditions abroad several times. Can you give some details about what it’s like? Well, every orphanage is different, and every region is different. It’s very much an economic situation, so the orphanages in the larger cities tend to have more funding, and the care seems to be marginally better. But the farther out you get into the vast expanse of Russia, the conditions go down drastically. I don’t know that it’s intentional, that the children are left like that, but there’s no money, and the children aren’t valued in society. We’ve had children who are ten and twelve years old, wearing six- to nine-month baby clothes. People don’t realize that it’s as bad as it is. And it’s never been our intent or our desire to point fingers, or lay blame anywhere. It is what it is. Change in those orphanages, and change in the attitudes towards the disabled in those countries, has to come from within. And we’re trying to start that ball rolling with each adoption, that somebody’s heart would get changed. Somebody would realize that, wow, these children really do have potential, they can learn, they can be productive members of society. They will do better in a family setting. They’re not deformed. So our immediate focus is to step in, and literally save the lives of these children, who most likely would not survive. I have heard that many of these children die before the age of ten. Can you talk about that? That’s because many of these children, when they turn four, are transferred to adult mental institutions. They’re hidden away, and they don’t survive. They’re just not given the care that they need to survive. And in an adult mental institution, there are no concessions made or special medical care given, considering that these are children. What are your thoughts about the adoption ban with Russia? Sergei, a Russian child awaiting adoption. It’s really hard to swallow. It’s pretty obvious what’s going on here, and that’s just a grown-up argument between the two governments. What’s disgusting and despicable about it is Putin himself, whom I was really holding onto the last that he would come through this as a true leader with wisdom and reason, and he didn’t. It’s a death sentence for those kids. If they keep this ban in place, it will be a death sentence for those kids. It will be Romania all over again. And the world just can’t stand by and let this happen. What is the situation with Romania? Romania, when they had their fall of their leader in the late ’80s, the similar abuses and neglect of the orphans in that country came to international light. And they decided that they didn’t want the world looking in, so they closed the program. This was twenty years ago, so thousands of children with special needs, and even typical children, were given the chance to have a permanent family. There’s no place for those kids in society there, or in Russia, or in Ukraine. And things are changing slowly, very slowly, but it’s not a reason to keep the children who are orphaned imprisoned in those orphanages just because they’re ticked off at the United States over some stupid policy decision. It’s just wrong, it’s outright wrong, for these children to be used as political pawns. What would you say to people who respond to this saying that, oh, Americans don’t have the right to adopt a Russian or a Ukrainian child, it’s a privilege, and if those governments don’t want to let people from other countries adopt them they don’t have to? That’s true. I would absolutely say that it’s true. These foreign governments don’t have to let anybody adopt. There are many countries around the world who don’t have international programs at all. But the reason why these programs exist is because there is an orphan crisis in those countries, and those countries are still at a point where they are not able to, or not willing to, provide for their orphans in a reasonable way. So no, they don’t owe us anything. But they owe their own children the opportunity to have a permanent, loving family. And if Russian families are not able or willing to step up to do that, whether they’re typical or disabled, then it is absolutely wrong of them to stand in front of that child’s opportunity to have a family, regardless of where that family resides. And Robert Shlegel, the state deputy last week, when he proposed this amendment for disabled children to be excluded from that ban, said the exact same thing. You know, he said until we can get our own stuff together and care for these children, we can’t stand in the way of having families. And that’s the most commonsense thing that anyone has said in this situation. Even though he was one of the people very strongly pushing for the ban, he realizes that especially the children with special needs are not being taken care of the way they need to be taken care of, and that it’s an immediate, life-threatening need. So there’s still hope. We’ve remained as positive as we can. We’ve got 70-some families in progress, waiting to adopt right now, and there are hundreds waiting to be chosen. We’re not able to accept new commitments right now, but we’re telling people to just wait it out. We’re just praying that reason and a level of humanity will come through all of this, that these children will be OK and that we will be able to give them the lives that they deserve. Now, there have been allegations that Reece’s Rainbow breaks Russian law by photolisting these children, and that only the Russian government is allowed to do so. Is that the case? Well, we have trolls. And that is coming from those people. The information that we share about Russian orphans on our website comes straight from the openly, publicly accessible Russian database of orphans in need of families. Although we do have relationships with various missionaries and coordinators in-country who are sometimes able to get us a better photograph or basic medical information, we are not doing anything wrong. We are not making money off these children; we’re not charging for the information. We are an advocacy organization. We’re not doing anything different from what the Russian database is doing. There’s a separate database in each region of Russia, which further advocates for their children, that even goes so far as to openly list all of their medical issues. So it’s shared information, on the world wide web. So it’s just trolls. They go to all of these different articles on different websites and they say the exact same thing each time. Another allegation is that Reece’s Rainbow-affiliated staff have been arrested for violating Russian adoption laws, and that your families have bragged about paying bribes to expedite their adoptions. Well, I know who wrote that. They’ve been slandering us for a year. They have no experience with Reece’s Rainbow whatsoever. Nobody has been arrested. We have helped more than 250 children from Russia alone come home. Nobody’s been arrested, nobody’s been denied, none of that stuff. And I appreciate the opportunity to get the truth out there. Have you ever considered doing any advocacy for domestic adoptions? We haven’t, and the reason our focus is abroad is because there’s such a high percentage of children with Down syndrome that are aborted before they’re born that there’s actually a waiting list for children with Down syndrome here in the United States, and they will all have loving, adoptive families, the ones who are born and need to be adopted. And there are many organizations that are focused on just those kids. There are very few, if any, whose focus is on kids with Down syndrome and other special needs living abroad, and their need is so great, with the difficult living conditions that they’re enduring. What is the future of Reece’s Rainbow? What are your long-term goals? The long-term goal for Reece’s Rainbow is for there not to be a need for Reece’s Rainbow. Our immediate focus is the immediate need, a life-saving focus on finding these children families and the medical care they need, and the loving family they deserve. But long-term, the hope is that with each adoption, these societies in Russia, Ukraine, Bulgaria, and everywhere else, will finally come to realize that their children with special needs have value and potential, and that there won’t be an orphan crisis anymore. That’s our hope. I may never see that in my lifetime, but it’s what we’re hoping for. 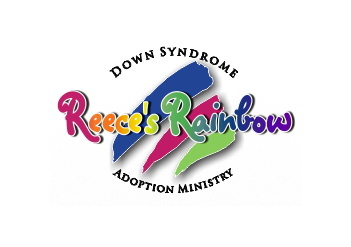 To learn more about Reece’s Rainbow or to donate to a special-needs orphan waiting for a family, visit the Reece’s Rainbow website.